Hi I’m Helen, mum of two. A bright and spirited daughter and a bruiser of a little boy. I’m a partner to a fab OH, we (mostly) work as a team bringing up these boisterous kids. I’m a also a midwife currently on a career break. We did a combination of both. The way I saw it was they needed food in their bellies but also need to get used to the look and feel of food. With my eldest, she was 5 ½ months and my youngest was 5 months. I know the guidelines say 6 months but every baby is different. In my opinion they reach their milestones at different stages. Guidelines are just that – Guidelines. The professional bodies cannot possibly create a rule that suits every individual and so must create generalised guidelines. Who can say that every baby’s gut is ready at exactly 6 months? I do agree though not to leave it much later than 6 months to start. I waited for cues such as wanting our food and taking it off us. I made sure they could comfortably sit up by themselves. When I tried them with a spoonful of mashed veg I watched for them pushing it out with their tongues. When I first tried with my daughter she did, so we waited a bit longer. 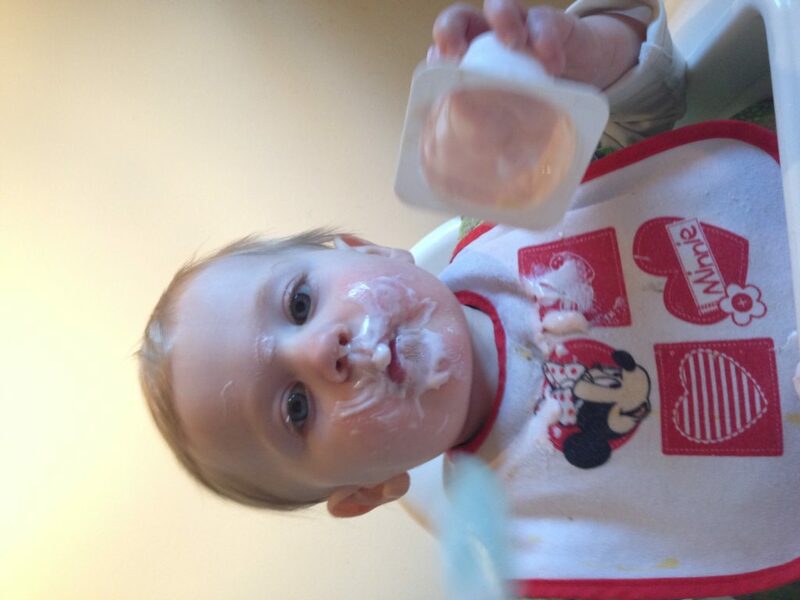 When I first tried with my son he gulped the food down with no problem. I would say I weaned them both in a very similar way with mashed vegetables to begin with followed by mashed fruit. For my first, about a month after she started weaning I started giving her pieces of food. With my second I did this after about a week. I generally would let them have whole veg to eat after or before they’d had a few spoonfuls of mashed food. Whole food would be peas, chopped cooked carrots, chopped boiled potatoes, cubes of butternut squash, cucumber, sliced grapes etc. I slowly introduced some meat after a couple of weeks, either again mashed up with the vegetables or small chunks for them to pick up. With my daughter, as she was our first I was much more cautious and strict with what she ate. With our second I was less cautious and he quickly moved off the separate meals and just comfortably ate pretty much the same meals we ate as a family (although I was very careful to ensure no or low salt and adjust spices). My daughter loved and still loves berries but wouldn’t eat cucumber. My sons only dislikes are berries and solid cheese! It depended on where we were going. If it was a friends house (where I know there is a microwave and the food isn’t out the fridge very long) then I would take homemade food. I’m not ashamed to say that jars of baby food were a brilliant convenience though. If out for the day I would definitely pack a jar. It’s sealed and safe and if no microwave was available then it’s ok to eat cold. I think my son had many more jars than my daughter. I would always pack some finger food too. If eating out at restaurants, I would always offer them my food as well a jar of baby food. I think it also gives them a taste of food that perhaps you don’t cook at home. First time round we swore by the Ikea Antilop highchair and would still thoroughly recommend it. With our second I wanted a space saver so bought the Mama and Papas baby bud booster seat that attaches to the chair. I really love this seat, he can sit at the table with us or have a tray attached. Its easily moved around and you could take it with you travelling to friends etc. If you mean ‘adult’ fast food as in quick take away meals from the chain restaurants! I really avoided fast food with my daughter, at the age of 4 she only just about knew what a ‘Happy Meal’ was. Don’t get me wrong she has pizza and fast food from time to time but not regularly. With my second he’s had fast food much earlier, probably being about 10 months old the first time he had it, by this point his main nutrition source was food and not milk. The way I see it is, if the majority of the time they have healthy food, preferably home cooked with plenty of veg the odd fast food meal will do them no harm. I certainly wouldn’t rely on fast food though as a regular meal and I wouldn’t offer it to them through the weaning stage either. I think the thing I struggled with most is when they don’t want what is on offer. Especially when you have made it from scratch. I struggled more with my daughter as I would make things just for her. Then I would worry that she isn’t getting enough food. I would sit for ages trying to encourage her. With my son I worried much less and now I have finally got it into my head that they will eat if they are hungry! I stopped long ago sitting for ages making songs up and trying to trick them to eat. I no longer reach for alternative food to try if they won’t eat, it just ends up a waste of food. If they simply don’t want anything then that’s ok. Whilst weaning they are still getting nutrition from milk, the whole process is about a slow adjustment to solid food. Portion size! Getting to know what a good portion size takes time. They really don’t need much. My OH always looks at their plate and comments on what a small portion it looks…but they are small and I hate waste. If they are having a hungry week and need more, then a banana or cracker or yoghurt can be added to the meal and also that’s where leftovers from meals come in handy too! Getting used to the mess! You really just have to accept that it will be messy. Don’t sit them near any expensive curtains or furniture. Understanding that their appetites fluctuate. I think this is linked to growth spurts. Not really. I do remember having suggestions to wean them when they were really young (3 months) but I just said directly that they weren’t ready. A combination of the two! When i’m organised I meal plan and it works so well. I even consider how leftovers can be used for lunches the next day. If it’s been a busy weekend I just wing it and buy a list of food loosely based on what I think we could have for the week. When we were going through the early weaning stage I would always make sure some favourite veggies were in the trolley and always had a bag of frozen fish pie mix in the freezer. The pieces of fish were the perfect size to defrost and offer with vegetables…or make fish pie. Frozen mixed veg was a must to have in the freezer. Brilliant pacifier and fab for hand eye coordination. I don’t think I would do anything differently. They are both good eaters. My daughter only eats small volumes but regularly and will eat most foods. My son is the same. Relaaaax! Babies can be fussy and generally don’t eat large volumes. It can be really frustrating when they refuse food but their appetite grows and reduces frequently. Think growth spurts, teething, upset stomachs, becoming more active etc. Sometimes they want a few spoonfuls sometimes they want a full bowl of food. So long as your baby is growing then they are being nourished and they are ok. If you really think there is a problem speak to a doctor or health visitor and persist with your concern. Sorry want to add another. The gag reflex – don’t be scared. Get yourself on a baby/child first aid course that will help you feel more comfortable in potential and perceived choking instances. More often than not it’s just their gag reflex as they have probably not chewed the food and taken too large a lump of food. The gag reflex is stopping the food getting to the choking point. If you have learned what to do in a choking situation though this will help you relax. 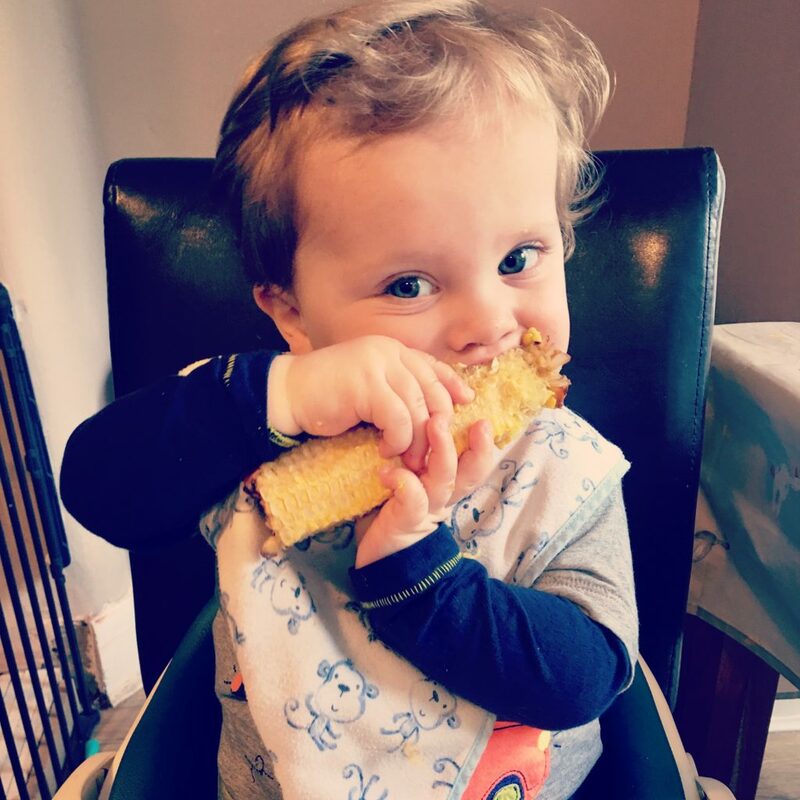 We had a mamas and papas baby bud highchair and they’re so good for taking places!